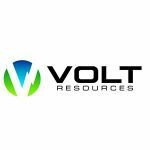 Volt Resources (ASX:VRC) has the largest graphite resource in Tanzania by weight. That is no mean feat when you consider it is right down the road from one of Tanzania’s graphite poster boys, the $337 million capped (fully diluted) Magnis Resources. Regular readers would have been following VRC for a while now – since we started covering the stock, it has been up over 630%. Currently capped at around $70 million, there is still significant upside potential in VRC considering how it compares with its more advanced neighbour. VRC has a bigger resource, and a much bigger land holding to potentially expand that resource, is close to vital infrastructure and has just released excellent metallurgical floatation results. Meanwhile none other than Eddie Sugar, who was was instrumental in bankrolling Fortescue Metal Group’s start up stage will now act as corporate advisor to VRC in North America. Sugar has shone the spotlight on a number of ASX stocks which have grown in leaps and bounds since Sugar’s appointment – we are talking LNG, YOW, EMC, and AJX to name a few. $70M capped Volt Resources (ASX:VRC), previously known as Mozambi Resources, has the largest graphite resource in Tanzania by weight, bigger than the lauded $337M capped (fully diluted) Magnis Resources (ASX:MNS).